Patient Advocacy research papers write about the role of the nurse as patient advocate. Patient advocacy research papers look at the ethical need for advocacy for patients in the healthcare setting. 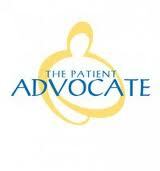 Paper Masters writers can custom write any topic on patient advocacy you need. In many ways, it can be said that patient advocacy is as old as the nursing profession itself. Indeed, the 45th World Medical Assembly in 1993 said, “Medical practitioners have an ethical duty and a professional responsibility to act in the best interests of their patients at all times”. An advocate, according to Webster’s Ninth New Collegiate Dictionary, is “one that pleads the cause of another.” In today’s health care field, there is a tremendous need for professionals who can plead the causes of patients with large insurance companies and HMOs. The nurse as the Patient Advocate is an enormous undertaking, and big business itself. One of the earliest forms of patient advocacy was for the mentally ill. Founded in 1972, the Bazelon Center, a nonprofit legal advocacy organization, has sponsored litigation that has outlawed institutional abuse and won protections against arbitrary confinement. The center’s goals include the reform of public systems to serve people with mental disabilities in their communities; services and support to help children with disabilities grow up in families, including access to federal disability benefits (SSI) and home- and community-based care for children with serious emotional disorders; and income support enabling people with mental disabilities to live with dignity in the community. As health care becomes big business, the line between cost effectiveness and patient care is being drawn all the more sharp. Patient Advocacy, as evidenced by the seemingly infinite number of special interest groups that claim to be advocates for every manner of disease, illness, chronic and terminal condition, is one of the “hot” Patient Advocacys in modern medicine. It is important then, in understanding the scope of Patient Advocacy, to survey the current professional literature. In doing so, a small glimpse into the vast nature of Patient Advocacy at the dawn of the 21st century can be gleaned. Nursing Care Plans - Patient Advocacy research papers write about the role of the nurse as patient advocate. Order a research paper on Nursing Care Plans from Paper Masters. Peplau's Theory - Peplau’s Theory research papers discuss the middle-range theory of nursing that revolutionized the nursing field. Comprehensive Anesthesia Care - Comprehensive Anesthesia Care research papers discuss the comprehensive anesthesia care for postoperative nausea and vomiting on a female undergoing gynecological laparoscopic procedure/surgery. National Association of School Psychology - The National Association of School Psychologists is designed to provide school psychologists with the support necessary to provide the best possible services to educators. Patient Safety in Nursing - Improving Patient Safety in Nursing requires reforms in hospital procedures so that nurses can spend the majority of their time working with patients. Nurse-to-Patient Ratio - Nurse-to-Patient Ratio research papers report that the current nursing shortage is the number one concern of nurses today. Social Programs - Many European nations have extensive systems of social programs, including universal health care, public pensions, housing and family paid time off from work. Sister Callista Roy - Sister Callista Roy research papers overview the Roy Adaptation Model. Right to Die - Right to Die research papers discuss the ethical issue of a person's right to be euthanized. Ethics of the Right to Die - Ethics of the Right to Die research papers discuss the topic of euthanasia in the medical health profession. Pain Management - Pain Management Research Papers look at a sample of an order placed for a analysis of a qualitative research report with specific components required for the project. Medical Ethics - Medical Ethics research papers look at the responsibility of the hospital. Paper Masters writes custom research papers on Patient Advocacy and write about the role of the nurse as patient advocate.